Description: The stem is a bluish-green sphere that elongate with age, with white-woolly depressed apex;. There are about 35 slender ribs with sharp, undulating edges, depressed at 1.5 cm intervals where areoles appear. 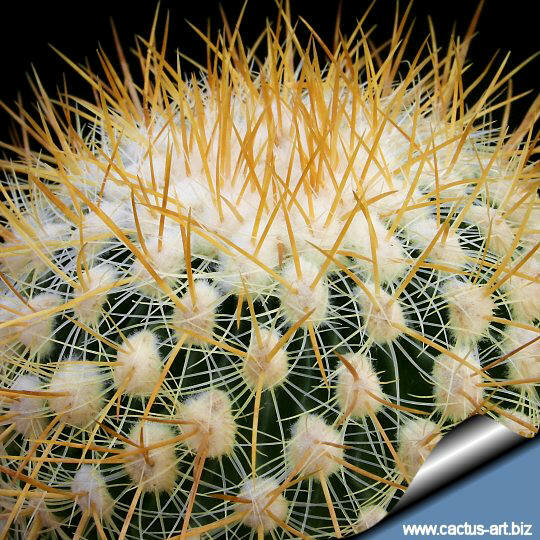 Spines: There are about 10 to 25 bristle-like, silky, almost transparent radial spines, 1 cm. long, whitish to cream-colored and partially erect; from one to three may be missing from upper areoles. 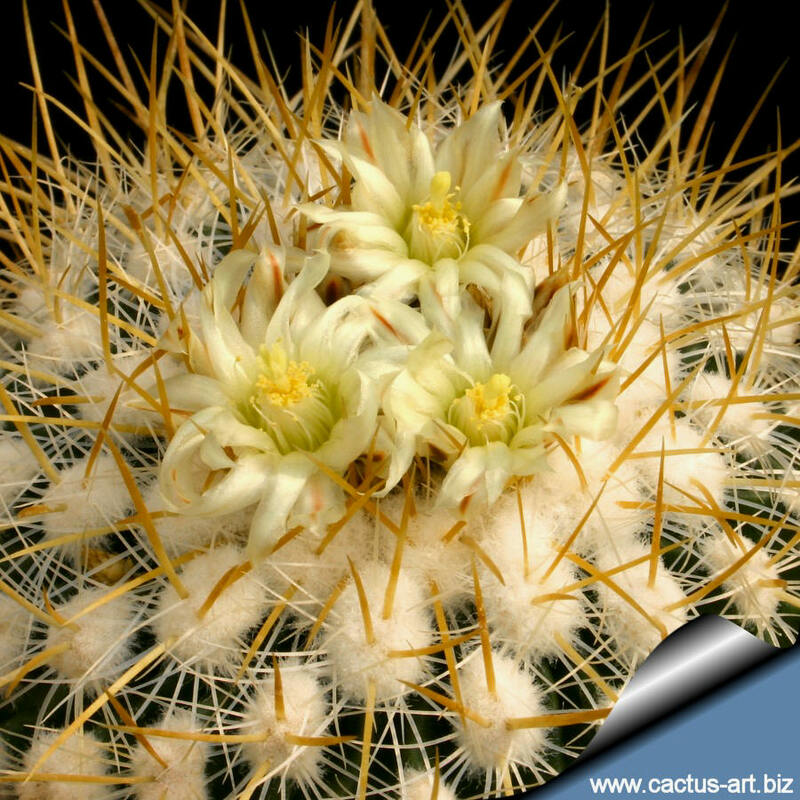 The four central spines are much thicker, longer, and usually darker yellow to tan coloured : they are straight except for the uppermost one, which is may reach 5 cm of length, flat, and often curved backward. Flowers: Small funnel-shaped 2 cm long with yellow (or whitish), lanceolate perianth segments. 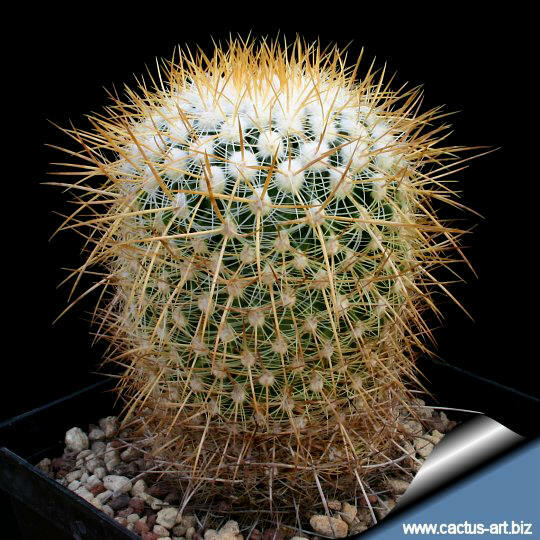 Cultivation: Small growing and easy to to care in normal and very drained cactus compost and very willing to flower, Because of it’s small size makes a great potted plant specimen, great for beginning collectors, water sparingly and allow to dry between watering, needs good drainage. Watering should be curtailed during the winter months. 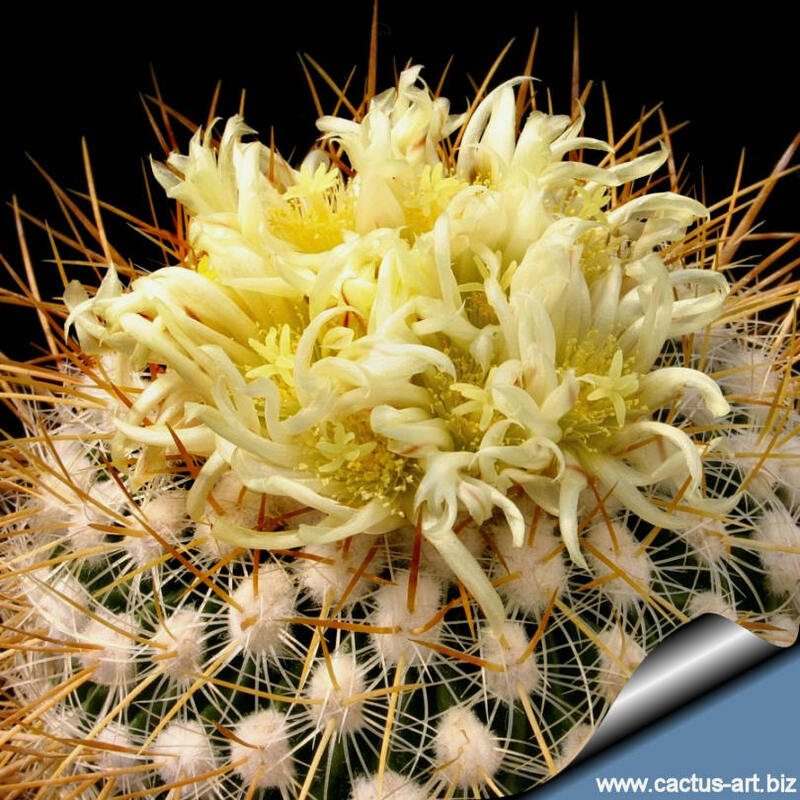 Full sun but is tolerant and prefers light shade during the hot Summer months. And provide very good ventilation. Frost Tolerance: does not tolerate intense or prolonged cold (hardy to -5°C if kept dry. 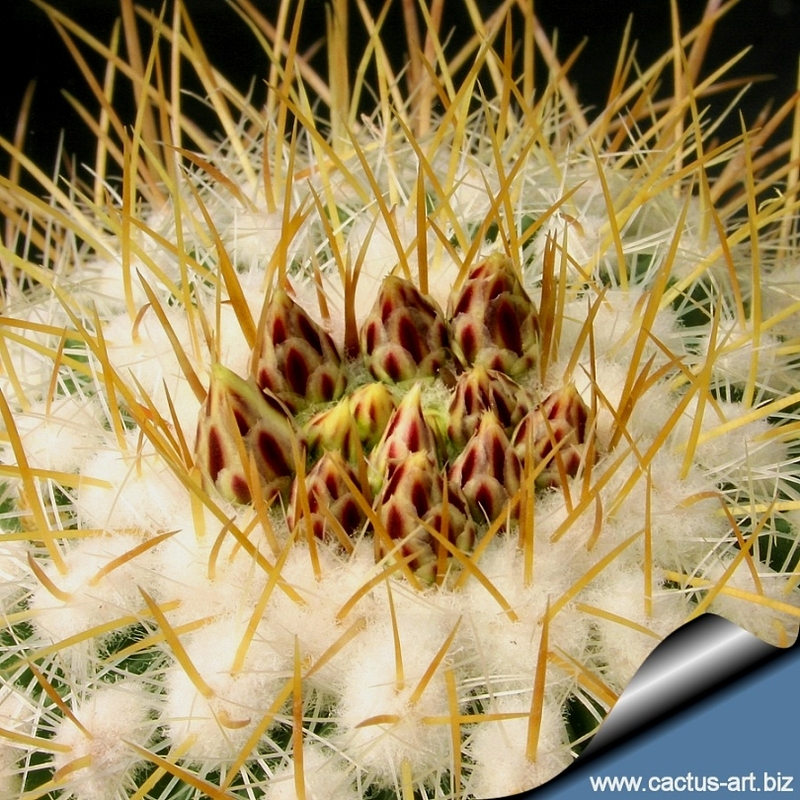 Propagation: Seeds (usually) or by the shoots of adult plants. Echinofossulocactus albatus E. albatus is now included as a synonym of Echinofossulocactus vaupelianus.